Austrians David Lama and Hansjorg Auer as well as the American Jess Roskelley have been caught by an avalanche in Canada. Новый район, первопроходы и первовосхождения. Евгений Глазунов: Альпинистская целина! Километровые перепады, открытия, опыт и задел на будущеее..
Завершился очередной выезд за первопроходами в Саяны! Подробности скоро! 13 апреля состоялась презентация книги Дениса Урубко "Погоня за Снежным Барсом" на итальянском. Юрий Кошеленко, Андрей Полорусов и Евгений Четверкин. Кьязо Ри (6184 м.) . 14 апреля. Nanda Devi East. В конце мая стартует польская экспедиция, целью которой будет повторение польского маршрута 1939 г. по Ю. гребню на Нанда Дэви Восточную 80 лет спустя. Руководил командой 1939 г талантливый инженер и альпинист Адам Карпинский, участники Якуб Буяк, Стефан Бернадзикевич, Януш Кларнер, майор Дж.Р. Фой, который присоединился к экспедиции в Индии в качестве врача и офицер связи С. Блейк. В этом году внук Якуба Буфка примет участние в экспедиции. January, 25, 2019 K2 winter Spanish expedition. Alex Txikon wants to explore the east face. He still haven't choosed the route. The team is in ABC now. 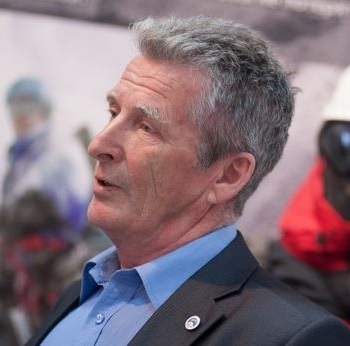 January, 10, 2019 Jacek Teler about two teams aiming K2 climb this winter. Febary, 23, 2018 K2 Winter. Denis Urubko The normal tropical winter. Febary, 22, 2018 K2 Winter. Denis Urubko interview "While here I didn't encounter such a terrible wind. There is an opportunity to work". Febary, 14, 2018 K2 Winter. Denis Urubko: Ooops! Febary, 11, 2018 SUMMIT! First winter ascent of Gora Pobeda (Pik Pobeda) by Simone Moro and Tamara Lunger, the highest mountain (3003 m.) of the Mounts Cerskij Range, in the coldest place on earth, in Siberia, at the Polar Artic Circle. Congratulations. Febary, 8, 2018 K2 Winter. Denis Urubko: no perspektives on Basques route. Febary, 7, 2018 K2 Winter. Adam Bielecki had an accident. He was hit by a stone. Injuries of the nose and forehead. .
Febary, 6, 2018 K2 Winter. The letter from Denis, just after the descent to BC tonight. January, 27-28, 2018 Nanga Parbat rescue. January, 26, 2018 Nanga Parbat rescue. Tomek & Elizabeth summited, then got stuck at 7400. After the night spent there they tried to descend. A rescue operation organized. The members of K2 team are ready to fly to Nanga. Denis Urubko, who ascended in the morning to C1, descended already and waiting the flight. Denis Urubko : "We will try to go by Kinshoffer route as soon as possible. Adam and me are in head-team, going light style. Will be necessary to climb, sure, because old ropes shall be into the ice. Our group can be 4-6 members finally. We'll try to do our best." The last info: Tomek is at 7280 in the tent, Eli at 6671 m, and she'll spend second night without tent, . And she knows about tomorrow rescue operation. Письмо от Дениса: Ленка, привет. Я в 10:30 спустился в Базу. Все хорошо. Даже ночь прошла лучше запланированного. Да, Лагерей я поставил :) проблема в том, что сделают другие нынче. Пару дней отдыха мне дают, а потом снова наверх. Иначе в период плохой погоды попадаем. Denis' letter: Ciao, I descended to BC in 10-30. All's OK, the night was better than hoped. Yes, I set camps :) Problem in what will others do nearest days. I'll rest couple of days, then will go up again. While good weather lasts. Денис спустился в базу на отдых. Артур Малек и Марек Хмелярский идут из С1 в С2. Адам, Марчин и Мачей поднялись в С1. Петр и и Рафал завтра из базы наверх. Погода норм. Фот. : Януш Голамб. January, 22, 2018 Winter Snow Leopard. The team summited Korzhenevskaya peak via new route today! 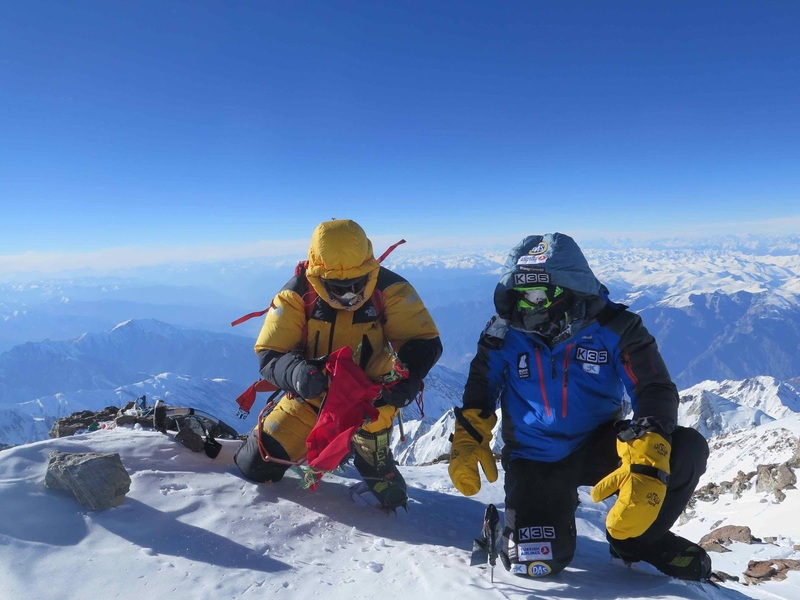 November, 1, 2017 Yuri Koshelenko and Alexey Lonchinsky ( both are Piolet D'Or winners) completed the first climb of Fangi peak (6538) in Nepal - SE face direct. August, 5, 2017 XII International Elbrus Race. Registration is on! Competition program. August, 4, 2017 Broad peak: Mingma Gyalje Sherpa +9 summited! THe second 8000-er in 8 days! July, 28, 2017 K2. 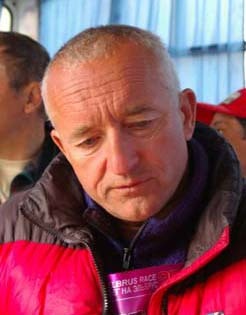 Andrzej Bargiel abandoned his expedition. July, 28, 2017 Gasherbrum I. Czeh mountaineers Marek Holecek and Zdrnek Hak climbed new route on SW face. July, 28, 2017 К2: today Vanessa O’Brien, John Snorri, Zhang Liang, Jing Xue, Azong, Mingma Gyalje, Dawa Gyalje Sherpa, Tsering Pemba Sherpa, Nima Nuru Sherpa, Lakpa Nuru Sherpa, Nima Tshering Sherpa and Ang Tsering Sherpa trached the top. THere're the first summeteers sincr 2014. July, 27, 2017 Oscar Cadiach summited Broad peak today, and completed "14 8000-ers" program! Congrats! July, 25, 2017 Mt.Krumkol, 4688m, Caucasus, Timofeev route, Russian grade 6a. ED, AI3, M5, A2. 20.07.2017 Alexander Gukov, Arkady Andreev, Nick Korzhakov. 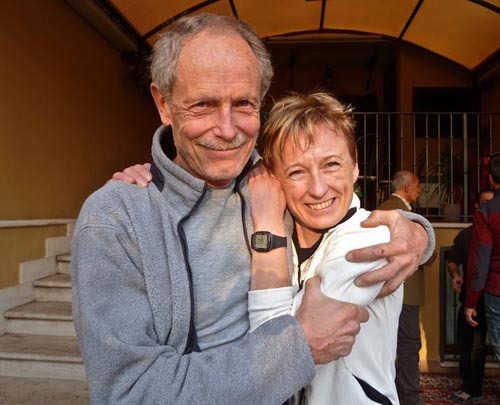 May, 11, 2017 Congrats to Nives Meroi and Romano Benet, the first ever wife&husband climbed together all 8000-ers! Today they summited the 14th 8000-er - Annapurna! 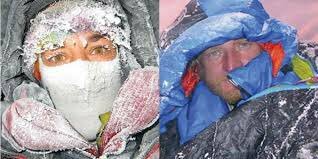 May, 4, 2017 35 years ago, in 1982, Vladimir Balyberdin and Edward Myslovsky summited Everest via new route on South-West Face! 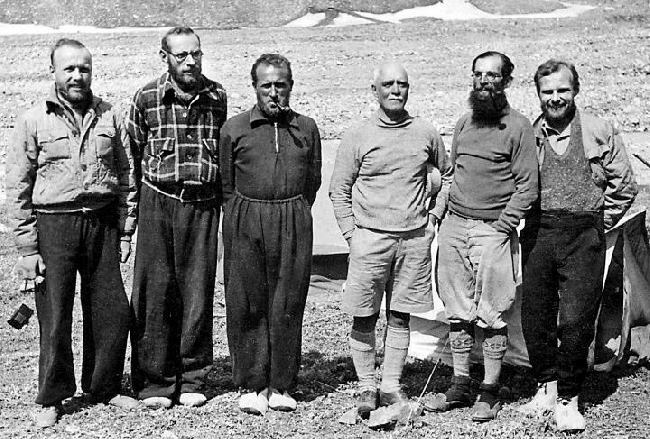 It was the first ever Soviet Himalayan expedition, first Everest climb by soviet mountaineers. Great jubilee, comrades! Heartfelt congratulations to everyone alive expedition members! April, 5, 2017 Cho Oyu, North Face. Polish team led by Adam Bielecki, heading to climb thr new route this seson. The team will cosist of 4 persons. Febuary, 27, 2017 Semion Dvornichenko. Expedition 2017. Or from 13 till 13. (about duble winter climb Khan Tengri - Pobeda. Febuary, 8, 2017 Pobeda peak Winter. Serguey Seliverstov, Mikhail Danichkin, Semion Dvornichenko (Kyrgyzia) and Alexey Usatykh (Russia) summited today! Febuary, 7, 2017 Pobeda peak. Stayed for the night at 6950. The wind is too strong. Summit bid! Guys climbed to 6950 m. T-41C in evening. Пик Победы. January, 30, 2017 Khan Tengri. Denis and all his team descended to the Base Camp. January, 29, 2017 Khan Tengri Winter. Denis Urubko summited today on 12-30. Descended to the snow cave. January, 12, 2017 Khan Tengri Winter Expedition start today from Bishkek. October, 11, 2016 Eugeny Vinogradsky is 70 today! October, 5, 2016 Manaslu. Mariano Galvan continued alone. 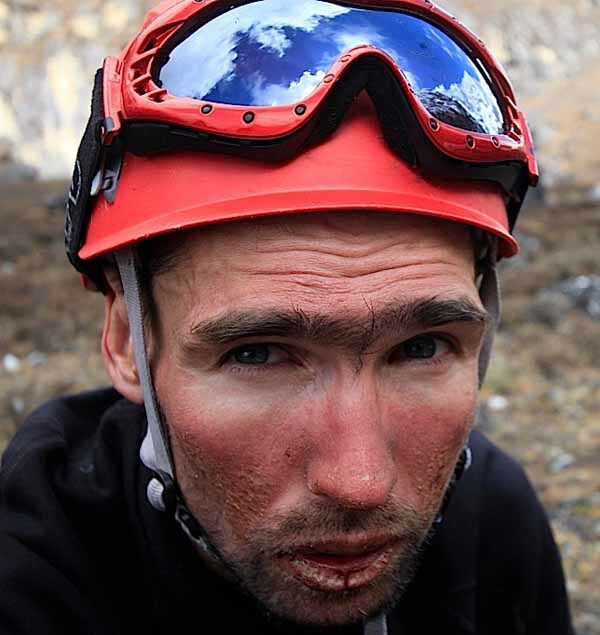 He spent four days on the mountain and was 300m below summit where a technical section forced him to retreat. “The technical difficulties were impossible to scale, at least for me.” Alberto Zerain and Mariano Galvan climbed the normal route and summited on October 4th. September, 30, 2016 Manaslu. Today Igor Zdanovich, Saulus damulevichus, natalia Zenina Dina Terentjeca summited. September, 28, 2016 Manaslu. Alberto Zerain and Mariano Galvan started yesterday from BC, trached the place, where the set C2 some days ago, but... the campsite was gone. Alberto descended to BC today. September, 21, 2016 Manaslu. Alberto Zerain and Mariano Galvan are going for the new route on the NE Face. They have already established C2 at 6400m and are back in BC. Ready for summit push. September, 16, 2016 XI International Elbrus Race. Oxana Stefanishina set new world's Elbrus record: she run from Azau (2400) to Elbrus West top (5642) in 4 hrs 9 min 39 sec! August, 25, 2016 Six members of "Vysota" project have cpmpleted Snow Leopard program in this summer season. 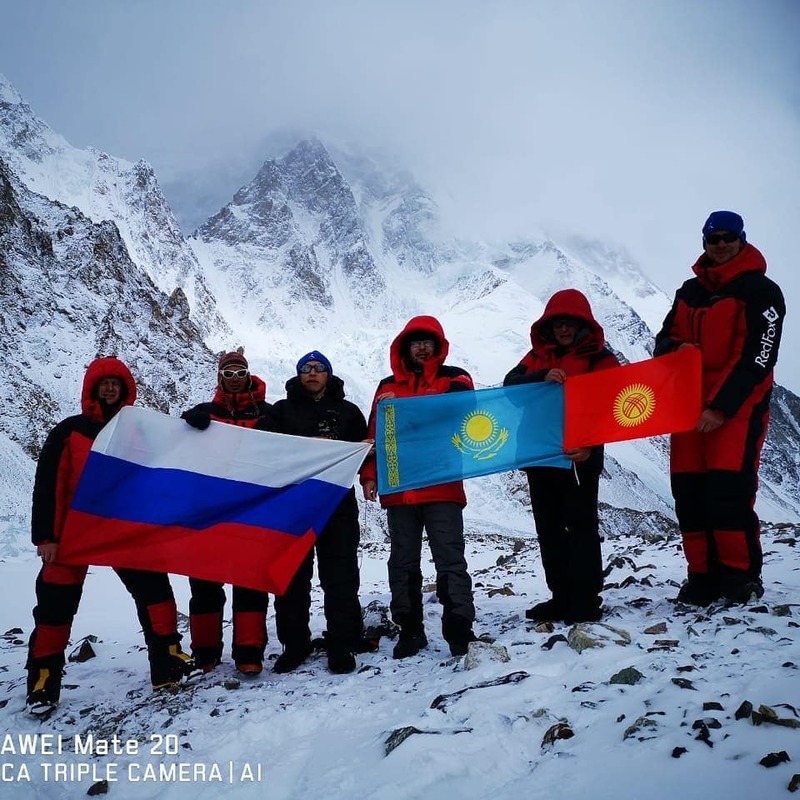 Andrew Vasiljev, Anton Pugovkin, Maxim Krivosheev, Lev Pantjuhin, Vassily Rubtsov and Artjom Cheremhykh climbed all 5 7000ers in 38 days. Their climbs dates: Lenin peak 13.07.16, Korzhenevskaya peak 25.07.16, Communism peak 02.08.16, peak Pobeda 14.08.16, Khan Tengri 19.08.16. August, 23, 2016 Artjom Braun have completed Snow Leopard program in the shortest period among Russian climbers (35 days from the beginning the first climb, and 34 days 2hrs from the first summit (Lenin peak) till the last (Khan Tengri)! Dates of his climbs: Lenin peak 16.07.16, Korzhenevskaya peak 25.07.16, Communism peak 02.08.16, peak Pobeda 14.08.16, Khan Tengri 19.08.16. August, 14, 2016 Andrzej Bargiel: Snow Leopard in 30 days! 5x7000 m and ski descents! August, 4, 2016 August, 7 the Catalan Kilian Jornet will set off for Tibet with Jordi Tosas. It'll be the next stage of Kilian's project “Summits of my life”. 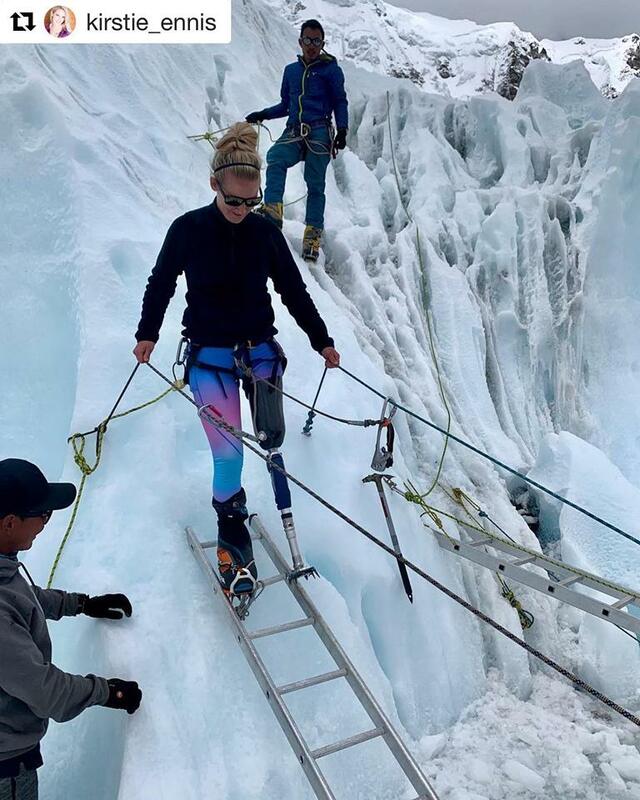 They hope to climb Everest, via Norton or Hornbein couloir, in a single push, without bottled oxygen and Sherpa support, during the monsoon season. July, 29, 2016 Gasherbrum IV: Ales Cesen and Luka Lindic Reached North Summit on July 26th and are safely back to in Base Camp. They climbed Northwest Ridge. July, 29, 2016 Kyzyl Asker (Tien Shan, Kok Shal Too) Rwo new routes climbed by Krasnoyarsk mountaineers. May, 13, 2016 Makalu. May, 12 Italian couple Nieves Meroi and Romano Benet topped out at 10:00am. THis was their 13th 8000-er. April, 26, 2016 Sayram peak (Ugam ridge, Southern Kazakhstan). Three ays ago Kirill Belotserkovsky and Max Ten forged new route on the north face. It took 22 hours to get to the top and rap down the 3B route to the camp below the mountain. Category is Russian 5B or, more common for westerners, 700m WI 4 and some tricky drytooling. 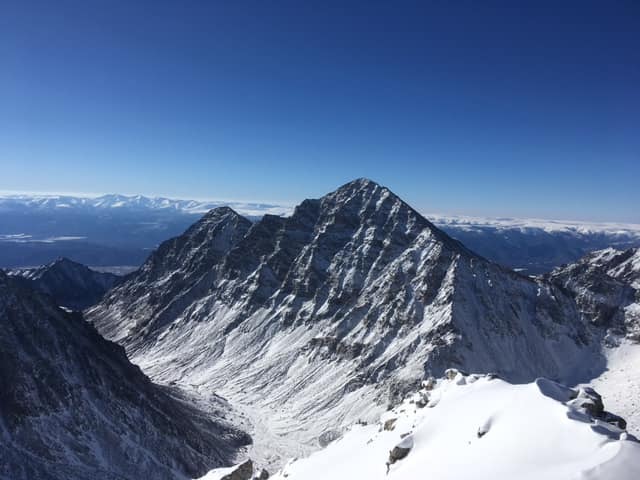 January ,22, 2016 Peak Lenin Winter climb. Today, 12-30, the whole team (Sergey Seliverstov (leader), Mihkail Danichkin, Roman Abildaev, Alexey Usatyh) reached the summit! January ,3, 2016 Nanga Parbat Winter. Adam Bielecki team set C1 at 4900 (Kinshoffer route), Alex Txikon team set C1 at 4850 m , Nanga Dream team set C1 at 5900 m (Rupal, Shell route). December,9, 2015 Denis Urubko: "I want to share my experience to those who need it". 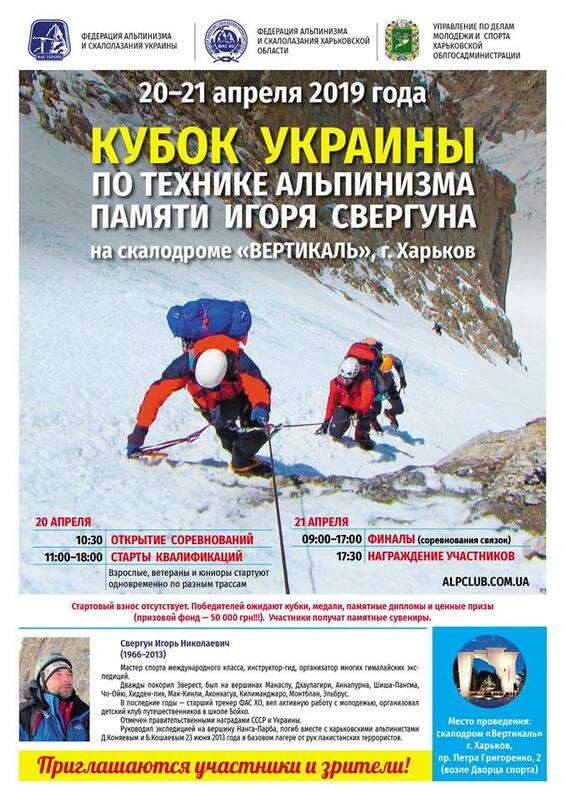 So there is a project to create high-altitude mountaineering team. The first stage of the project is the winter Elbrus ascent. They came to the Caucasus Dec, 2. 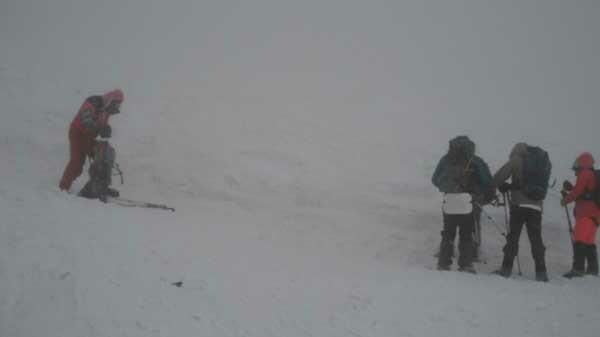 Now the team is working on the North slope of the mountain. Dec, 7 December them ascended to 4600, spent the night and went down to 3700. Today they rest. 79-year-old Italian Mario Curnis is the member too, with the mate Matteo Gallizioli, Russians Alexander Lutokhin, Anton Kravchenko, Andrey Shlyapnikov, Evgeny Plekhov, Vassiliy Rubtsov, Alexander Radionov, Eugene Rusyn and pole Christian Madeja. 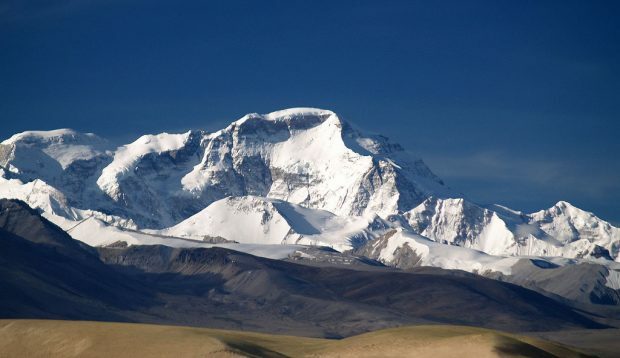 In the spring it is planned to climb Lenin peak, then Cho Oyu in Fall. 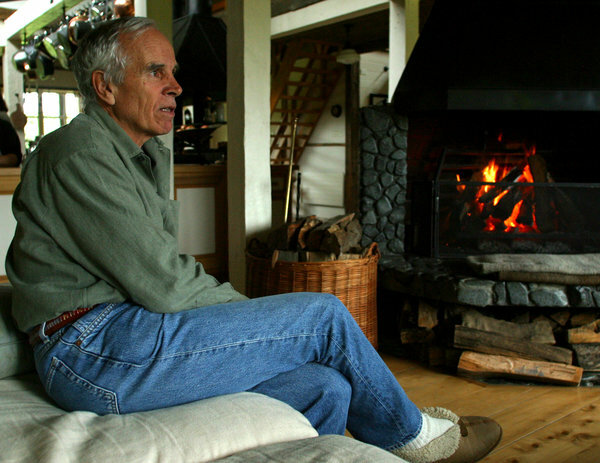 December,9, 2015 Douglas Tompkins, a noted conservationist and the founder of the clothing brands North Face and Esprit, died on Tuesday after a kayaking accident on General Carrera Lake in the Patagonia. He was 72. The strong waves on the lake caused the group’s kayaks to capsize. Sedoy Strazh (5481 m, first climb, Tien Shan, Kok-Shaal Too West) the route "Devjaty Val" via East Face battress, 6B Russian grade, ( length 1835 м, altitude difference 1230 м, average steepness 60 grad.). 16-21 Aug 2015, rop 20 Aug.
December,4, 2015 The party in honour of Anatoli Boukreev took place in Moscow today. October,26, 2015 Kyzyl Asker. Slovenian expedition to western Kookshal Too. 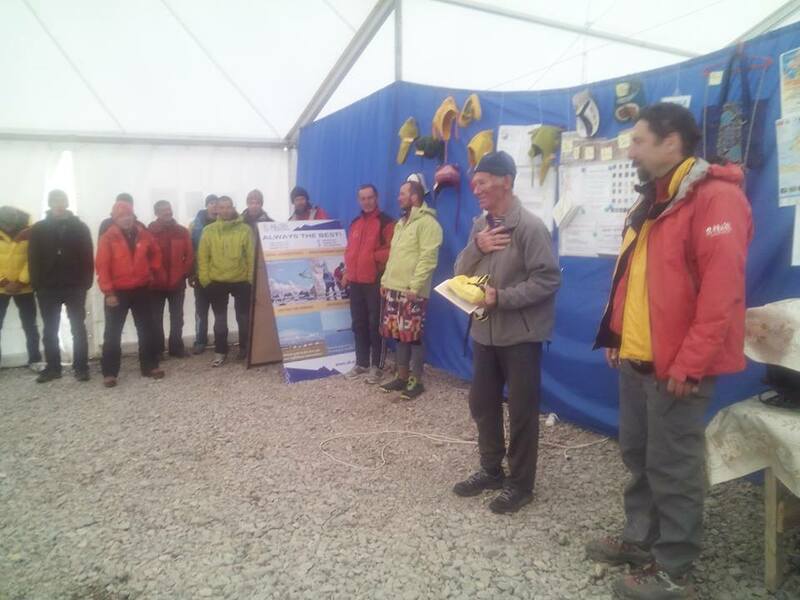 October,18, 2015 Snow Leopards: 7 climbers completed the program in 2015 - Vladimir Chistikov, Kanat Naurzaliev, Carlalberto Cimenti, Vassily Drozdov, Mikhail Nosenko, Serguey Bublik and Eugeny Karepin. Congratulations! 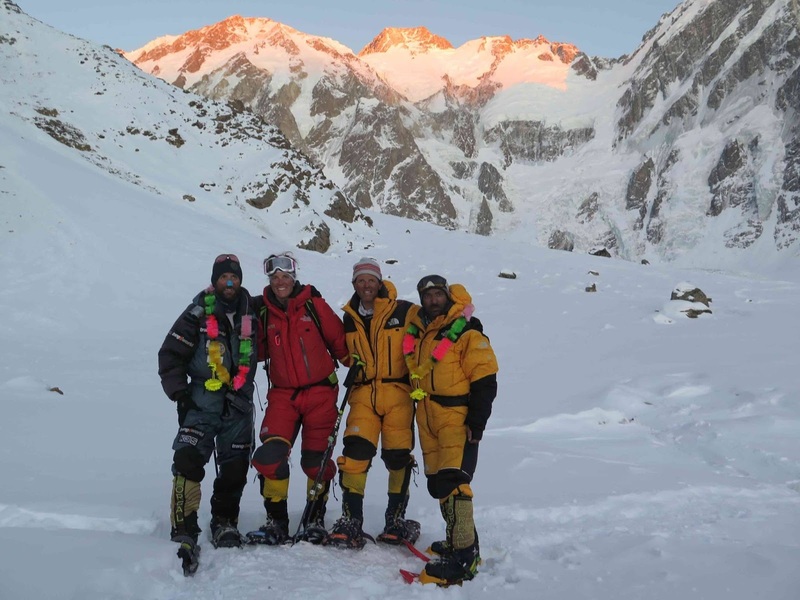 September,25, 2015 Thulagi (7095 m) had been climbed by fourpersons team from Saint Petersburg 9 Alexander Gukov, valery Shamalo, Ivan Dozhdev and Ruslan Kirichenko). It was the first ever successful climb to this peak. September,3, 2015 Huandoy Sur, Peru. 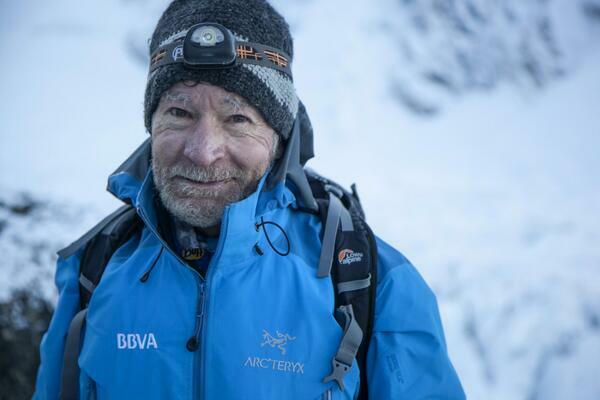 Guides and rescuers from Peru Expeditions managed to lower the bodies of Alexander Ruchkin and Slava Ivanov to the bottom of Huandoy Sur South Face. It was the difficult and dangerous task. We respect to rescuers. September,2, 2015 Huandoy Sur, Peru. Alexander Ruchkin and Vjacheslav Ivanov died on the descent on Huandoy Sur South face. 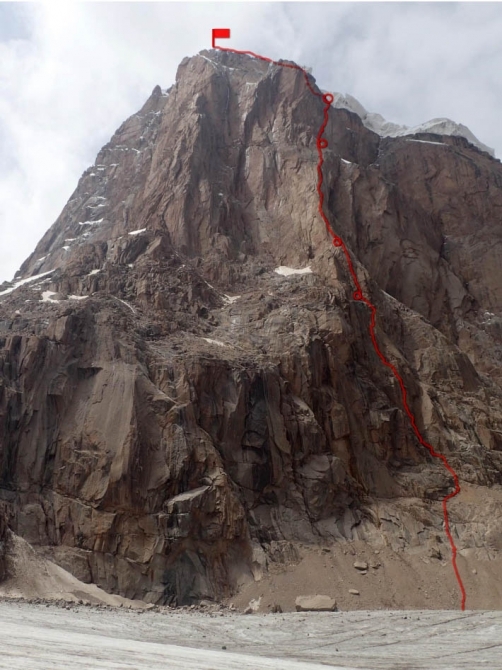 Their bodies had been found by local guides today on the ledge 5300 m. Probably, the climbers were swept by the rockfall in the very beginning of the descent from their last bivouac Aug, 26-27. 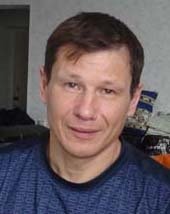 Vjacheslav Ivanov was three-times Champion of Russia in Mountaineering. September,1, 2015 Huandoy Sur, Peru. 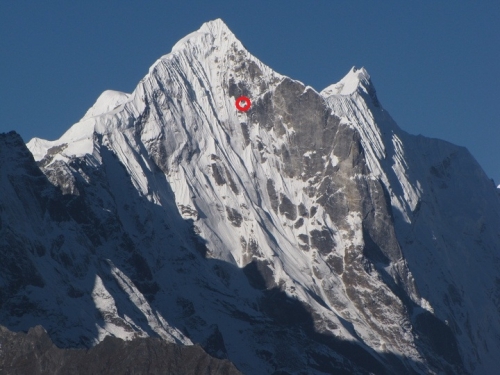 Alexander Ruchkin and Slava Ivanov missing on South Face. The rescue team (7 persons) from Peru Expeditions company is heading to BC now. August, 25, 2015 Snow Leopard with ski descents. 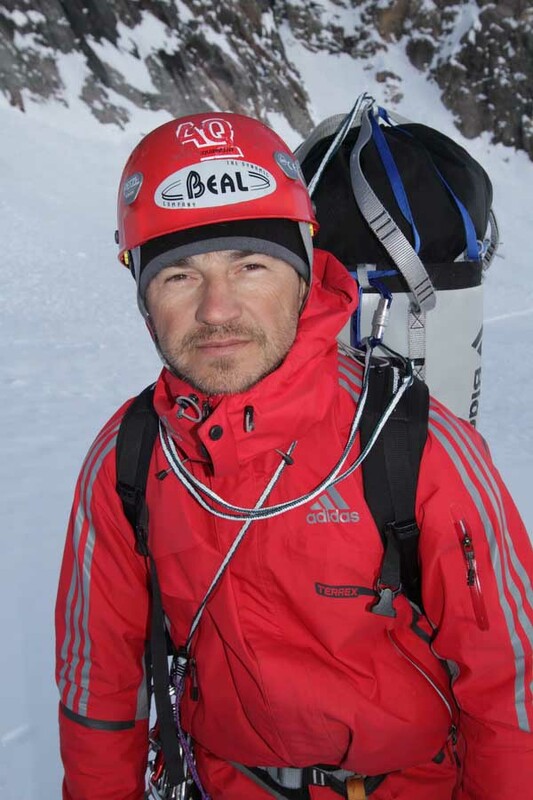 Italian CarlAlberto Cimenti completed the program 2013 - Lenin Peak, Korzhenevskaya, Khan Tengri. 2014 -Pobeda peak (August, 13). 2015 -Communism peak(August, 19). 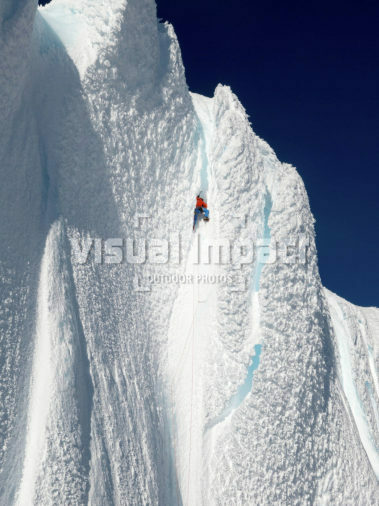 Also Albertomade the ascent and ski descent on Cho Oyu and Manaslu. August, 23, 2015 Elbrus. Info from Denis Urubko. The past few days the rescuers continued to seek the third Pole, but to no avail. When the Polish trio decended from Elbrus West top, there was Artur (the guy from Cheboksary) together with them. On the way down to the Col the guys were exhausted, began to freeze, lost orientation. Artur tried to help them, made going faster. 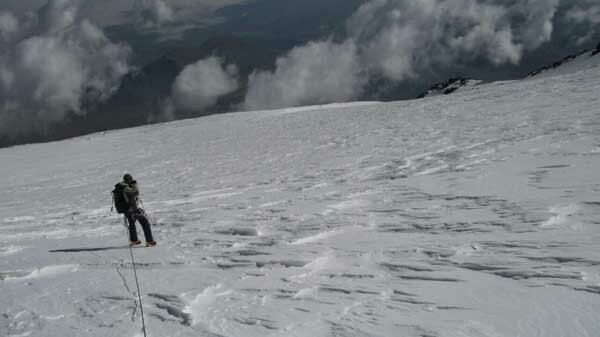 Then he started solo descend, but went astray, appeared heavily to the West of "kosaya" on the South slope of Elbrus. Stopped in the dangerous place, he managed to take pictures of the surroundings and send the photo by sell phone to the rescuers. They got this photo and understood the Artur's location. Later he was lifted by the helicopter from dangerous place. August, 22, 2015 X International Elbrus Race. Boukreev's route is added to the program of X Elbrus Race. Exactly 25 years ago, Anatoly Boukreev set the unique record: 1h 47 minutes from Priut 11 to Elbrus East top. So, it would be great to give mordern climbers a chance to compete with the great Climber Anatoly Boukreev. August, 12, 2015 Juho Knuuttila (Finland), who is 19, climbed two 7000ers this summer - Lenin peak & Khan Tengri. The next was Pobeda peak, but today Juho wrote: "After 24 hours of 100k/h winds at C4 (6400m) I decided to bail. Now safely back at BC. No frostbites etc. Pik Pobeda's totally diffirent game than Khan Tengri, Pik Kommunizma etc. " Great result for the young guy! August, 11, 2015 X International Elbrus Race. Competitions schedule. July, 20, 2015 Denis Urubko. The Wortex. July, 15, 2015 Karakorum. Raheel Adnan wrote about summit fids preparation on GI and GII. The conditions in Karakoram have improved. GII summit bid will be led by Kobler & Partner expedition whose guides and Sherpa have already fixed the route till C3 (7000m). 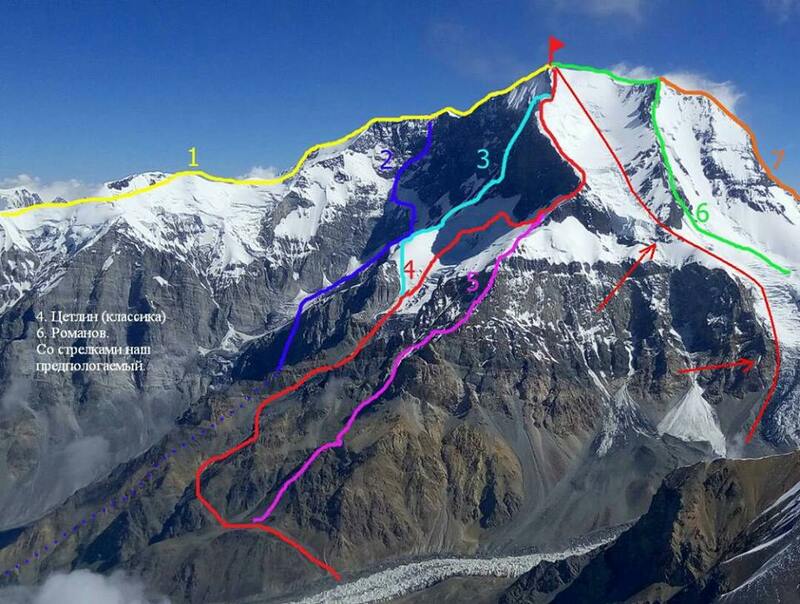 There are no commercial teams on GI and climbers will jointly open the route from C2 (6430m) to C3 (ca 7000m). Depending upon weather and mountain conditions, the climbers may return to BC or go for the summit from C3. GI climbers sat together on July 12th to finalize the summit-bid plans. Several small independent teams will be collaborating for route fixing and summit push on the mountain. Yannick Graziani left Base Camp yesterday and reached C1 ahead of others. Other GI climbers were planning to climb directly to C2, today. They will jointly work on route opening above C2. Having already tagged C3 and spent multiple nights in C2, GII teams are more ready for summit-bid. First group of climbers left Base Camp yesterday. Others are going up today. Climbers are hoping to reach the top on Thursday. The leading group (Ngima Chhiring Lama, NgaDorchi Sherpa, Robert Gunther Herz, Laura Castillo, Yuri Contreras and Peter Schatzl) reached C1 yesterday and is on the way to C2 now. They report that recent snow made the climb from BC to C1 challenging and time-consuming. Laura Castillo wrote that it took them almost 10hrs to cover the distance which usually takes around 5.5hrs. Around knee-deep snow has covered the tracks from previous trips. July, 15, 2015 Juho Knuuttila (Finland), who is 19 and wants to complete Snow Leopard program in one season, summited Lenin peak today on 10 am. Now he's descending (info from C2). 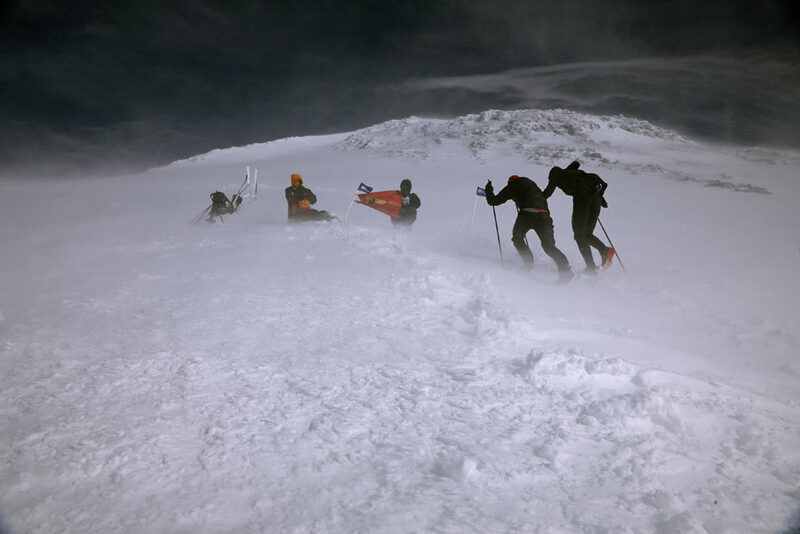 July, 4, 2015 "7 Summits" team, led by Ludmila Korobeshko, summited Denali today in very bad weather. 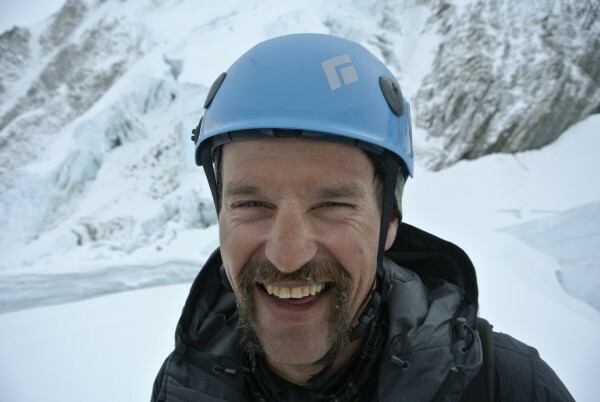 Zigmund Berdykhovsky completed "7 Summits" program. May, 18, 2015 Dean Potter Killed in Wingsuit BASE Jumping Accident. Dean Potter (43), and Graham Hunt (29) died from impact during a wingsuit flight from Taft Point in Yosemite, on May 16. April, 25-28, 2015 The earthquake in Nepal. The Tragedy. April, 12, 2015 Piolets D'Or were awarded to three teams: Americans Tommy Caldwell and Alex Honnold for Fitz Roy traverese, Russians Aleksander Gukow and Alexey Lonchinsky for the first climb of Shy Girl route on Thamserku (6618 m), and Slovenians Ales Cesen, Luka Lindic and Marko Prezelj for the first climb on Hagshu (6657 m). Piolet for the Life-time-achievement awarded to Sir Chris Bonington. March, 30, 2015 Everest. Raphael Slawinski (Canada) with Germans David Gottler and Daniel Bartsch are going to climb the new route on Northeast Face, without supplemental oxygen. Slawinski has never climbed one of the 14 8,000-metre peaks. In 1988, Barry Blanchard and Mark Twight attempted the face. The only route up the face is Zakharov’s Couloir, it has seen three ascents and no fatalities. Slawinski’s team will be attempting a new route to the right or left. 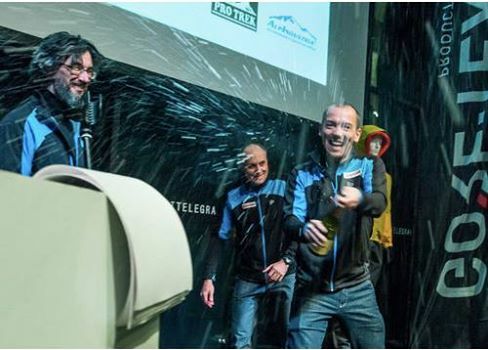 March, 30, 2015 Tyis spring Kilian Jornet with his team is going to Everest, which is the last step of the project "Summits of My Life". He will travel to the Khumbu with a team of Jordi Tosas, Jordi Corominas, Sebastien Montaz and Vivian Bruchez. Kilian says that this spring will be a touchdown and high altitude test. March, 16, 2015 Winter expedition to Pobeda peak is over. Serguey Seliverstov, SMS March, 14: 2 utrom dvoika uclimbers began to descent in the morning. We stay only 5 in C2. Began to climb to C3, but the wind on the ridge forced us to turn to C2. Looked at forecast decided to go down to BC. Tired. " All are in BC. March, 14, 2015 Nanga Parbat. Alex Txikon, Ali "Sadpara", Daniele Nardi & Muhammad Khan descended to BC. Successful rescue. Expedition is over. March, 5, 2015 Piolet D'Or 2015. Nominees and juri. March, 2, 2015 Denis Urubko: The true winter on 8000ers. Which climbs can be considered as "winter". Febuary, 25, 2015 Winter expedition to Pobeda peak, The team set C1 at 4600 Feb, 23, then set C2 at 5100 Feb, 24 and foxed 9 ropes more. Febuary, 18, 2015 Winter expedition to Pobeda peak, devoted to 70th anniversary of the Great Victory over the fasсizm in II WW, began yesterday. The leader of the project - Ervand Iljinsky (Almaty). The Kazakh team is already in Karakol. Climbers: Serguey Seliverstov (Bishkek), Artjom Braun (Moscow), others are from Almaty - Vassily Pivtsov, Alexander Sofrygin, Ildar Gabbasov, Dmitry Muravjev, Vitaly Zhdanov and Tursunali Aubakirov. Febuary, 12, 2015 Nanga Parbat winter. Alex Txikon, Ali Sadpara and Daniele Nardi set C3 at 6700 m. They'll spend the night there. Febuary, 10, 2015 Nanga Parbat winter. Alex Txikon writes that international team set C2 at 6000-6100 m today. Febuary, 9, 2015 Denis Urubko invites to the training in Albino. Febuary, 8, 2015 Nanga Parbat Winter Expeditions. Russian team has arrived to Islamabad yesterday. On Diamir Face Daniele Nardi joined International team which climbs Kishoffer route. Febuary, 6, 2015 Nanga Parbat Winter Expeditions. SMS from Russians: "Today exactly 45th day as we left St. Petersburg, and, unfortunately, the time for our expedition runs to the end. The mountain is clear at last, for the first time in two weeks, but there're still snow flags on the top due to the strong wind. We pack BC and are going down". Febuary, 3, 2015 Nanga Parbat Winter Expeditions. SMS from Russians: "We managed to return to BC through the bad weather. All are safe and sound. Nothing real on the route in such wind. You can fly to K2 at once"
Febuary, 1, 2015 Nanga Parbat Winter Expeditions. SMS from Russians: Wind 100 km/hour, snow blizzard, no visibility, the real February frost. Waiting weather improving. January, 31, 2015 Nanga Parbat Winter Expeditions. SMS from Russians: We are in C4 at 7150. There're very fresh there. Tomorrow we'll go to Diamir side. January, 28, 2015 Nanga Parbat Winter Expeditions. SMS from Russians in 5 am: "We begin to climb up". January, 22, 2015 Nanga Parbat Winter Expeditions. SMS from Russians: "We set camps at 5100, 6000, 6700, deposit at 7100. The hard winter ice everywhere upper 6000". Diamir Face: Elizabeth left the base camp without saying goodbye yesterday early morning. Tomek is going home too. January, 20, 2015 Nanga Parbat Winter Expeditions. SMS from Russians: "Reached 7150, the place to move to Diamir Face. The huge mount! Now we rest in BC. All's OK"
January, 19, 2015 Nanga Parbat Winter. Tomash and Elizabeth are back in BC. They have reached 7800 meters. January, 18, 2015 Nanga Parbat Winter. No news from Tomek & Elizabeth after Jan, 15. BTW, Alex Txikon with two Pakistanians Muhammad Ali ‘Sadpara’ and Muhammad Kan are going for the winter attempt on Nanga too. THey hope to reach BC to the next week end. They want to climb from the Diamir Face - Kinshoffer route or Messner route. January, 14, 2015 Nanga Parbat Winter Expeditions. Russians left BC today morning, continue to work on the route. Tomek Mackiewicz and Elisabeth Revol set C4 on the altitude about 7000 m, and are going to go up tomorrow. The weather is not good. There's very few snow on the Diamir Face. January, 12, 2015 Nanga Parbat Winter Expedition. Guys made the deposit at 6000, fixed ropes up to the ridge, but we were swept by the wind from the ridge, so in BC again. January, 12, 2015 American climber Lonnie Dupre became the first to climb solo McKinley in January. He topped out Jan, 11. It was his fourth attempt. Only two climbers were on the highest top of Nort America before him - Artur Testov and Vladimir Ananich. But Lonnie was first who did this route solo in winter! January, 11, 2015 Elbrus. Denis Urubko reached the West top Jan, 8 in the very cold and windy conditions. January, 11, 2015 Nanga Parbat Winter Expedition. The team work on the route since Jan, 8. Will return to the BC soon. January, 6, 2015 Nanga Parbat Winter Expedition. "..headed up today, but turned back at 4200 due to high avalanche danger. Waiting..."
January, 2, 2015 Nanga Parbat Winter. Tomash Mackiewicz and Elizabeth Revol set C1. January, 1, 2015 Nanga Parbat Winter Expedition. One of the team members, Serguey Kondrashkin, is ingenious sculptor. Look at his art works! December, 30, 2014 Nanga Parbat Winter Expedition. The team set C1 at 5250 on Shell route. December, 27, 2014 Nanga Parbat Winter Expedition. The team reached BC. December, 25, 2014 K2 Winter expedition is cancelled. 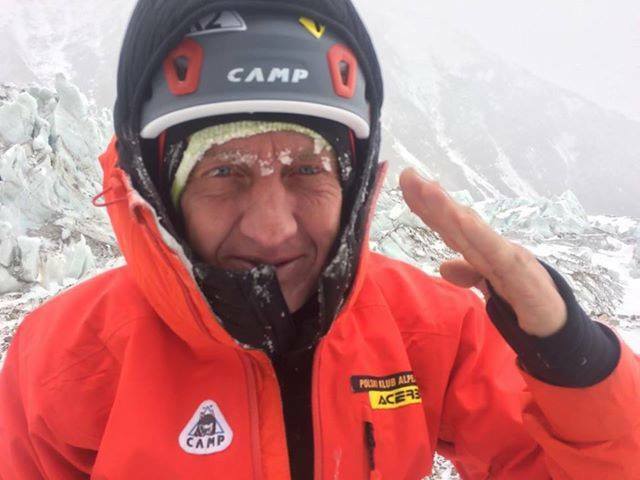 DEnis Urubko got the letter from Chinese authorities, that the team is not permitted to climb K2. Because terrorists are very active in north-west part of the country. December, 25, 2014 Nanga Parbat Winter Expedition. The team'll begin the way to BC tomorrow. December, 24, 2014 Kilian Jornet set the new record! After 12:49 min he achieved in his second attempt the fastest time running up and down Aconcagua (6962)! Dec, 15 Kilian reached the top of Aconcagua for the acclimatization. Then, Dec, 19 he did the attempt of the speed acsent, but forced to turn back in 500 m from the top due to the strong wind. And yesterday - the success! December, 22, 2014 Nanga Parbat Winter Expedition. Russian team started today from Saint Petersburg. December, 21, 2014 K2 Winter expedition. Denis Urubko, Alex Txikon and Adam Bielecki had planned to fly to China on Dec, 21. However, they received a notice from chinese authorities this week, in which were informed that their permit had not yet been processed. They must wait about three weeks and may not start the expedition until Jan, 9. So, the team decided to ariive to Kashmir to that date. December, 20, 2014 Susmita Maskey, 35-year-old Nepali woman arrived to Kathmandu from Mt. Vinson Massif, the highest peak of Antarctica, which was her final destination towards climbing the seven highest peaks of all the continents. Susmita started by successfully climbing Everest on May 22, 2008 for the first time and conquered it again on May 18, 2011. Then she scaled the highest peaks of the six continents in just 17 months. 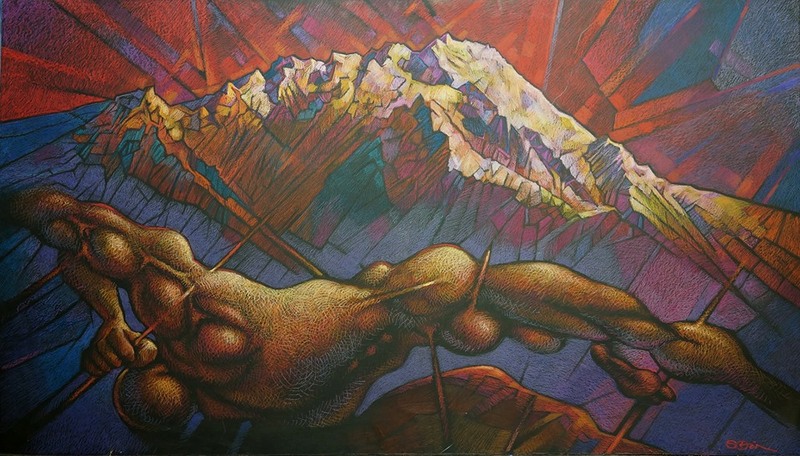 October, 24, 2014 Jerzy Kukuczka, the outstanding Polish mountaineer,himalaist, who was the second in the world who climbs all 14 8000-ers, died 25 years ago, October, 24, 1989 on the Lhotse South Face... We remember him! October, 7, 2014 Snow Leopard. THis year the program was completed by: Lazo Vitaly (RUS), Achim Rinortner (DE), Ishangaliev Asylbek (KZ), Kuznetsov Andrew (RUS) and Horl Hans Gunter (DE). Congratulations! October, 1, 2014 India, Kashmir. Kopteva & Chibitok climbed virgin North-West Face of Golden Sentinel (5200 м). The route named as "Samurai's daughter". September, 25, 2014 Manaslu. Today Polish alpinist Andrzej Bargiel set new record: he reached the top in 14 hrs 5 min from the base camp. Congrats! September, 21, 2014 Ararat. Sep, 12, Russian-Ukrainian mini-expedition reached the top of holy Ararat (5137 m). 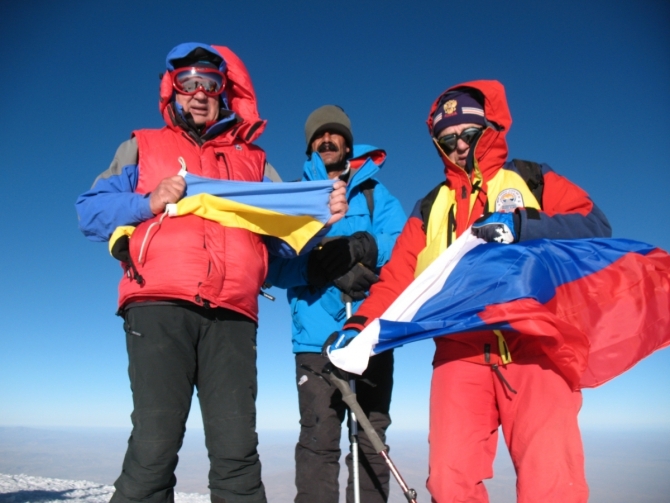 As 24 years ago, during Everest Peace Climb expedition, they climbed together - Russian Vladimir Shataev (77, Moscow), the honored mountaineering coach of the USSR, and Ukrainian Mstislav Gorbenko (67, Odessa), the honored Master of Sports of USSR, they raised the national flags of Ukraine and Russia. August, 29, 2014. Shafat fortress. India, Kashmir. Kopteva & Chibitok are heading to the first climb. August, 24, 2014. Elbrus record. Today, aug 24, 2014, Vitaly Shkel run from Azau (2400) to the West top (5642) and returned back in 4 hrs 39 min 17 sec (up and down)! The ascent time was 3 hrs 28 min 41 sec. It's great rusult! Very close to Andrzej Bargiel's result (3 hrs 23 min 39 sec), which is still the absolute record of Elbrus climb (set in 2010). BTW, much depends of the condiions on Elbrus, and today the conditions weren't ideal. July, 27, 2014 K2. More summits today! Finnish Samuli Mansikka (without oxygen), Americans Alan Arnette, Matthew Dupuy, Garrett Madison, Kami Rita Sherpa, Fur Kancha Sherpa, Kami Tshering Sherpa. Iranian Reza Shahlaee and Macedonian Zdravko Dejanovic. July, 26, 2014 K2. The unique day! A lot of summits! Good weather. Repost from Raheel Adnan blog: Italians Tamara Lunger, Nikolaus Gruber, Giuseppe Pompili and Michele Cucchi , Pakistans Hassan Jan, Ali Durani, Rahmat Ullah Baig, Ghulam Mehdi, Ali, Muhammad Sadiq , Amin Baig, Spaniard Ferran Latorre, Chris Jensen Burke (NZ/Aus), Czechs Radek Jaros and Travnicek Jan, Britt Adrian Hayes, Sherpas Dawa Yangzum Sherpa, Pasang Lhamu Sherpa, Maya Sherpa, Lakpa Sherpa, Tsering Sherpa ... and it's not the full list Congratulations! July, 25, 2014 K2. THe great forecast for the next days! All teams are going to C4. June, 30, 2014 Elbrus. Mountain rescuer Abdulkhalim Elmezov (KBR climbing federation presidend and 2-ce Everest summiter) summited Elbrus with his five brothers and two nephews! The elder brother is 66 years, younger is 50! June, 30, 2014 Pakistan K2 Expedition С2 set yesterday at 6800 m.
June, 26, 2014 Yosemity National Park celebtates 150th birthday! June, 30 1874 President Abraham Lincoln signed legislation enacted by Congress that established Yosemite Valley and Mariposa Grove as the first protected wild land for all time. A half century later, in 1890, the land around these two tracts was designated as Yosemite National Park. June, 26, 2014 7 summits for Nepali girls. 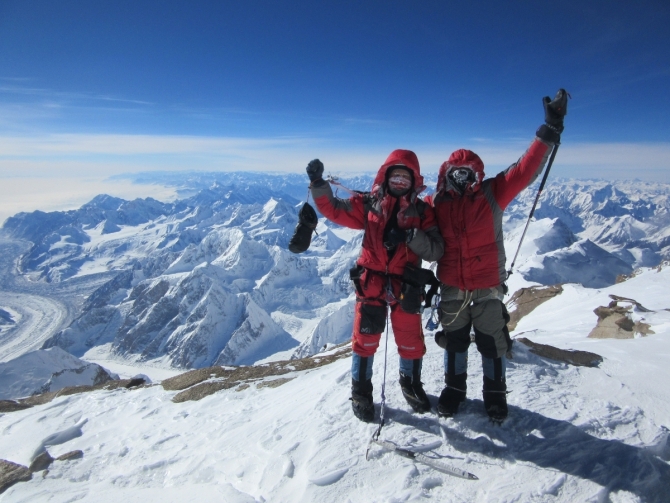 The first Nepali women team climbed Denali, the highest peak in North America. The team reached the summit at 13:45 pm June, 24. Girl's names are: Chunu Shrestha, Pema Diki Sherpa, Asha Kumari Singh, Niomdoma Sherpa and photographer Ang Tshiring Sherpa. The expedition has a target of scaling all the highest peaks of the seven continents. So far it has climbed Everest, Kosciuszko, Elbrus, Kilimanjaro and Aconcagua. Now, peak Vinson Massif of Antarctica is the destination of expedition. June, 25, 2014 Pakistan K2 Expedition reaches base camp at 5000 m, and are setting ABC. June, 20, 2014 Kilian Jornet set Denali record: ascent +descent 11 hrs 48 min! June, 3, 2014 Denali. Jing Wang June, 1 flew to Kahiltna glacier basecamp to start the climb of West Ridge with AMS guides. May, 27, 2014 Jing Wang summited Everest from South side! May, 19, 2014 Cho Oyu (8201) MAI team summited today: Yuri Kruglov, Mikhail Volkov, Nick Sinjushin, Anna Frankevich, Anna Tsvetova and Pavel Tsvetov. Descended to C3. 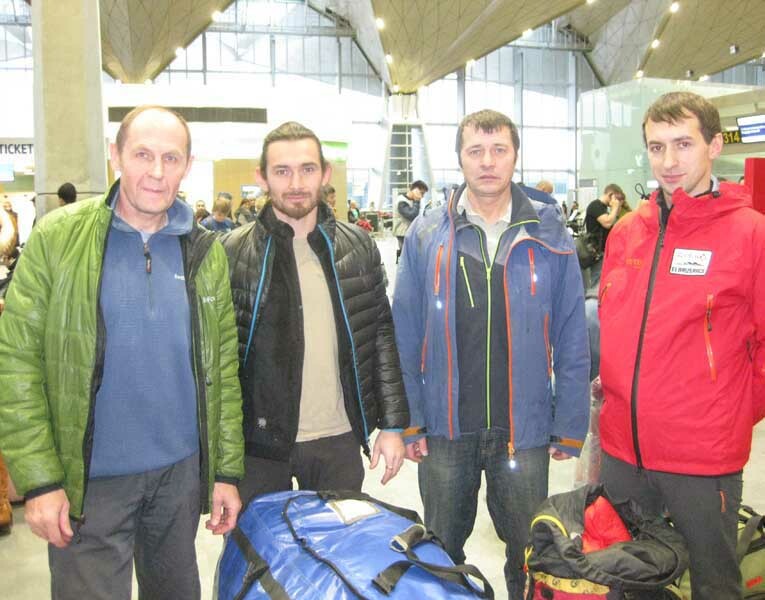 May, 19, 2014 Elbrus: The body of lost climber Ukraininan Nickolay Zubritsky has been found by rescuers May, 16 near Pastuhkov rocks. May, 19, 2014 Kangchenjunga NW Face. Denis: Summited Kangchenjunga on 9-40. Now I'm in C4. Nobody else there. Continue to descend to C3. May, 18, 2014 Kangchenjunga NW Face. Denis wrote in his facebook, that Alex, Adam and Dmitry reached 8350 on 16-30, and returned to C4. Denis and Artjom are in C4. May, 18, 2014 Kangchenjunga, normal route. 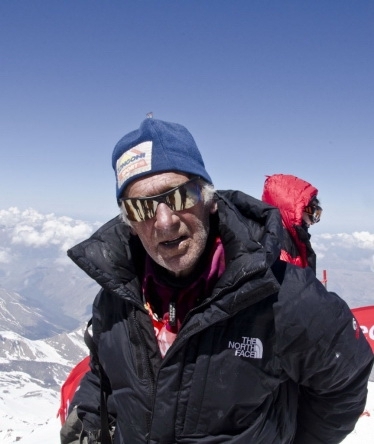 Carlos Soria (75) summited today! Congrats! He descended to C3. Photo: Carlos Soria Twitter. May, 15, 2014 Kangchenjunga NW Face. Alex, Adam & Dmitry ascended to C2. May, 14, 2014 Kangchenjunga NW Face. Urubko about the nearest plans. Alex, Adam & Dmitry are in C1 (6000). May, 12, 2014 Kangchenjunga NW Face. Happy birthday, Adam! May, 12, 2014 Everest (Nepal side) American climber Cleo Weidlich, 51, is on her way to Lhotse, and Chineese Wang Jing, 40, is heading to Everest. May, 11, 2014 Kangchenjunga NW Face. BC. The team climb not original British route, but more left and steep. May, 8, 2014 Kangchenjunga NW Face. Denis: Artjom and me - we ascended to 7050 m. Alex, Adam and Dmitry going to set C3. We are going to spend the night in the snow cave at 6600 m. Very tired. heading up tomorrow. May, 6, 2014 Kangchenjunga NW Face. The third acclimatization push. Yesterday Denis and Artjom ascended to C1. Others started today morning. Now they're in C2 (6600 m). "We have supper in C2. We hardly found our deposit - it took us 6 hours! We're heading futher tomorrow". May, 5, 2014 Thamserku (6623 m) SW Face (Nepal) After the difficult climb Alexey Lonchinsky and Alexander Gukov reached the top! They did the first climb on the SW Face. Descended already to Monjo. May, 3, 2014 Kangchenjunga NW Face. May, 1 Denis and Alex set C2 (6600 m), Adam, Artjom and Dmitry climb there next day. Dan and Alex hoped to summit May, 2, but were obliged to descent to BC. Other three rested in C2, when the small avalanche burried their tent. Only little shock, nobody was injured. All is in BC now. 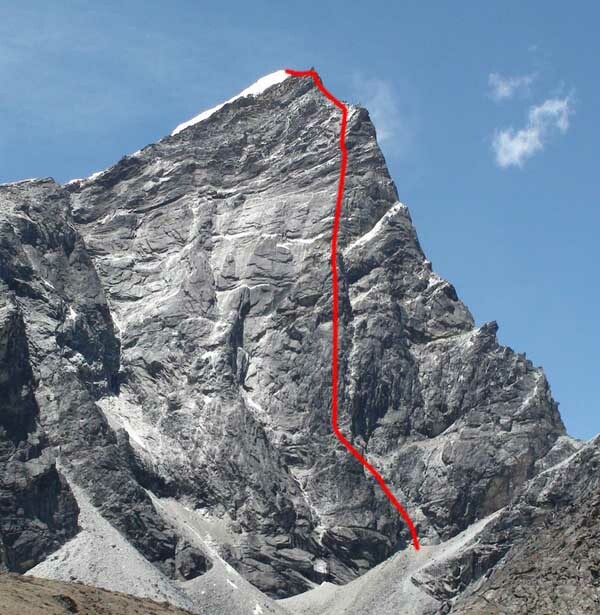 May, 1, 2014 Ama Dablam (6812 m). In the camp at about 5000 m April 29-30 two Russian climbers died from HAPE: Victor Igolkin (62, Magnitogorsk) and Pavel Ivanovsky (52, Zlatoust). Victor was The Master of Sports of USSR and Russia, 4-times Champion of USSR in mountaineering, Snow Leopard, mountaineering instruktor, coach of the highest category, leader of the Magnitigirsk mountaineering club. He was awardwd by "Edelweiss" order. Pavel was a journalist from "Zlatoust worker". April, 29, 2014 Kangchenjunga NW Face. The second push. The goal is to set C2 at 7000 m (North Col). The expedition loads finally arrived to base camp last Friday. However, Alex's personal luggage is missing. April, 21, 2014 Thamserku (6623 m) SW Face (Nepal) Acclimatized on Island peak. 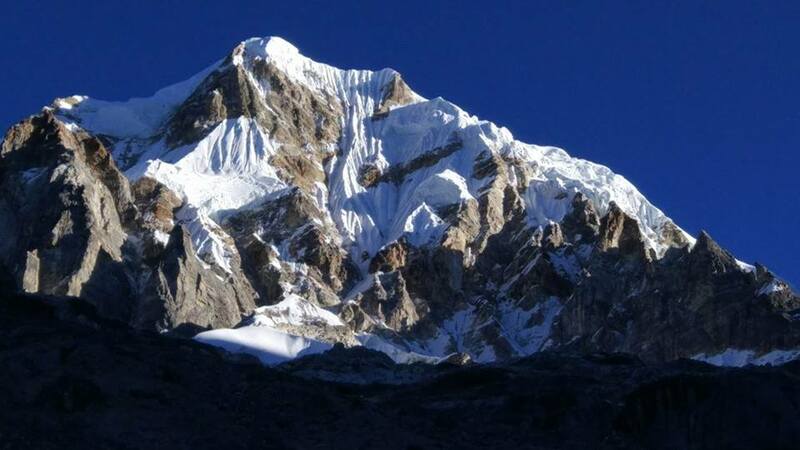 April, 21, 2014 Kangchenjunga NW Face.The team reached the BC. April, 21, 2014 Tulagi (7056 m) reached 5000 m.
April, 15, 2014 Everest. Around 300 climbers will attempt to conquer Mount Everest this year's spring climbing season from Nepal side. Around 300 climbers including youngest Mathew Momiz, 16 and oldest William Mithcell Burkey, 73, from the US and women climbers Deerness Joy Christine, 65, from New Zealand and Azer Alyssa Nicole, 18, from Australia. April, 4, 2014 Ama Dablam. THe expedition organized by Odessa club, will strt April, 8. 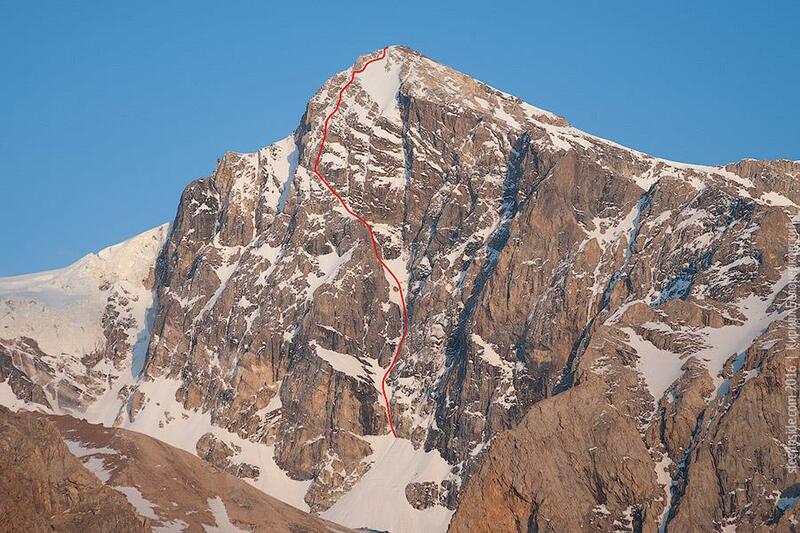 The team plan to climb Bashkirov route (6a Russian Grade) via South Face and East ridge. Members are: Yuri Kilichenko, Maxim Perevalov, Piotr POberezhny, Yuri Vlasenkov. April, 4, 2014 Thamserku (6623 m) SW Face (Nepal) The duo from Saint Petersburg Alexey Lonchinsky and Alexander Gukov left for Kathmandu March, 30. THey have briefing today. The mountain is connected by a ridge leading eastward to Kangtega. Thamserku is a prominent mountain to the east of Namche Bazaar and lies just north of Kusum Kanguru. March, 30, 2014 The Piolets d'Or 2014 was awarded to two ascents: the NW Face of K6 (Canadians Raphael Slawinsky and Ian Welsted) and the South Face of Annapurna solo (Swiss Ueli Steck). 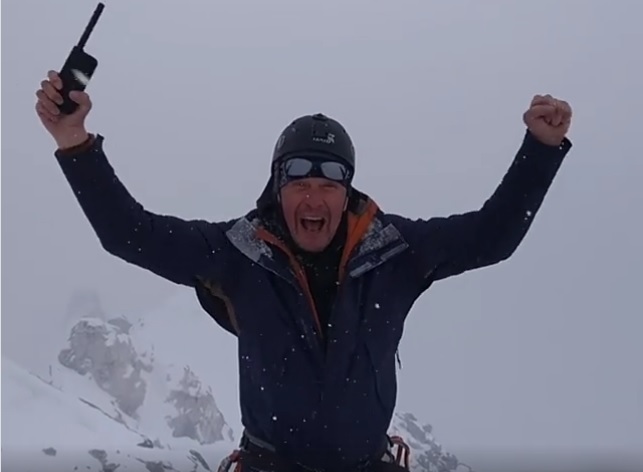 The South Face of Annapurna ascent (Stephane Benoist and Yannick Graziani) received a Special Mention, while Lifetime Achievement award was given to John Roskelley. March, 26, 2014 Tulagi (7056 m) Yesterday the expedition from St. Petersburg started. Climbers are: Valeri Shamalo, Ruslan Kirichenko, Denis Sushko and Andrew Golubev. The planning route: from the north-east. February, 16, 2014 American climber Chad Kellogg killed by rockfall in Patagonia. Kellogg and Jens Holsten had climbed the Afanassieff Route on Fitz Roy. They reached the top on Feb, 14 and began their descent via the Supercanaleta route. After the third rappel, one of the ropes got stuck, and while pulling on the cord to try to loosen it, "the rope dislodged a block which hit Chad," Garibotti wrote at Supertopo.com. "He died instantly. It was 9 p.m. Jens continued the descent alone through the night, reaching the base early in the morning to then continue to El Chalten, the nearest town. Because of the complexities of the location, a body recovery will not be attempted." January, 28, 2014 Nanga Parbat Winter: the Bace Camp at 4500. Planned the normal route. No news yet. October, 10 2013. Tengmoche (Tengkangpoche). Nepal. Women trio for the new route. Marina Kopteva, Galina Chibitok and Anastasia Petrova! Summit! SMS today: "52 hrs from the end of fixed ropes to the top, plus the descent. Without rest and food. 17 days fron all 19 on the wall were in extremely bad weather and 10 of them - awful snowfalls! It was the most difficult and scary route ever for us!" The new line was called "THe buttle for the love"
August, 29 2013 Cerro Torre climbed in winter. Stephan Siegrist, Dani Arnold, Thomas Huber and Matias Villavicencio has made an outstanding and extremely rare winter ascent by climbing Via dei Ragni and summiting on 30 July. The first winter ascent of Cerro Torre was carried out in 1985 by the Italians Paolo Caruso, Maurizio Giarolli, Ermanno Salvaterra and Andrea Sarchi who climbed Maestri's Compressor Route. August, 29 2013 Tengmoche. Nepal. Women trio for the new route. Marina Kopteva, Galina Chibitok and Anastasia Petrova! August, 22 2013 Kilian Jornet has now run up the Matterhorn Lion ridge, from Cervinia centre in 2hrs 52mins , the record was until then in the hands of Bruno Brunod (1995, 3 hrs 14 min). Catalan started at 15-00 from the church of the Italian town of Cervinia to reach the top (4478 m) in 1h56'15 " The first section consists of mountain roads, the second section consists of snow. Finally, 1,000 meters were climbing with fixed ropes. Kilian will travel to Russia next to try to set the record the ascent and descent of Elbrus (5642m). August, 16 2013 Elbrus records: Andrzej Bargiel, Svetlana Sharipova, Anton Proshenko. Are you registered on VIII INternational Elbrus Race? 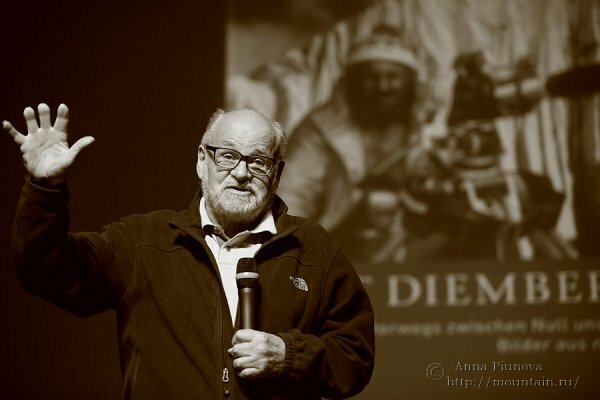 August, 12 2013 President of Czech Mountaineering Federation dies in an accident on Gasherbrum I.
August, 1 2013 Trango. Ircutsk climbers Eugeny Bashkirtsev and Denis Veretenin climbed Nameless Tower. Slovenian route, in 1,5 days + the descent. 28 July, 2013 К2. All teams decided to abort the attempts because of bad snow conditions on the route. Only Marty Schmidt and his son Denali stay on K2. 21 July, 2013 Peak Pogrebetskogo. 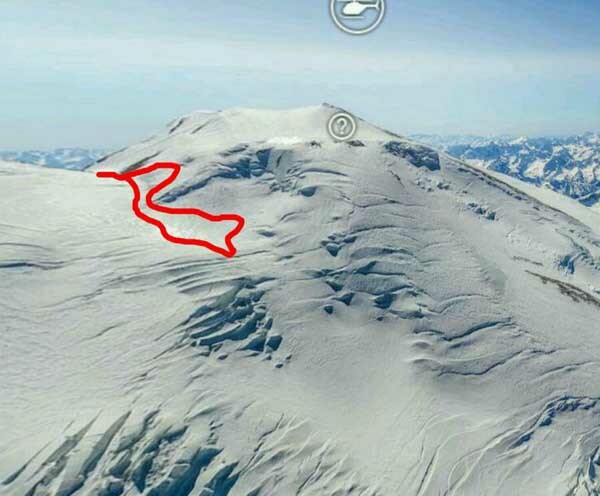 Kazakhs Gennady Durov and Murat Otepbaev climbed the new route. Detales later. 16 July, 2013 Nanga Parbat. Romanians summited!!! Four climbers - Marius Gane, Teo Vlad, Zsolt Torok and Aurel Salasan - Jult, 18 set camp at 7500 м. Marius started from the camp on 1 a.m. (and reached the summit first), others summited on 4 a.m.
16 July, 2013 Nanga Parbat. Romanians climbed up to C5 (7300 m) today. There are three of team members. Tomorrow they're going to set next high-altitude camp, and July, 18 to reach the top from there. 15 July, 2013 Khan Tengri direct. 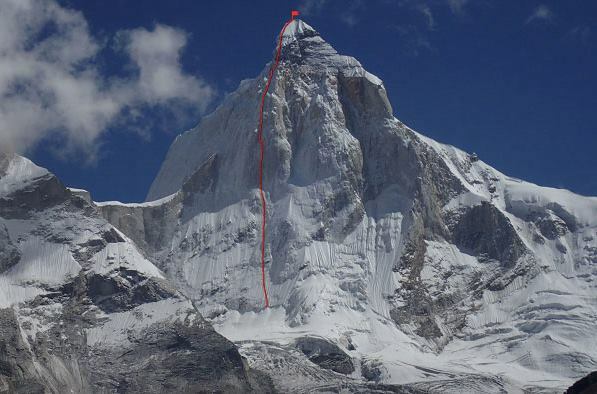 SErguey Seliverstov (Bishkek) and SErge Hardi (France) are going to climb direct on KHan's South Face. Previous attempt was in 1982 by the team from Leningrad (Gennady Isachenko (leader), Yuri Razumov, Boris Silin, Andrew Laletin, Nick Shustrov, Victor Kozlovsky and Yuri Stroganov). At 6500 they were forced to traverse to the Marble ridge. On black-white picture - the route 1982 . On colour picture - the line which duo hopes to climb. 9 July, 2013 Gasherbrum I. Artur Hajzer missed. Marcin is rescued and on the way down to camp 1. Tomorrow he probably will reach basecamp. cook, indicating that they will descend to Camp II (6400m) and everything is fine." 8 July, 2013 Broad peak. July, 4 Josef Inhoger reached the summit. It was the first summit in Karakorum in this season. Other six climbers were forced to turn bach from the foresummit due to the deep snow and no fixed ropes. 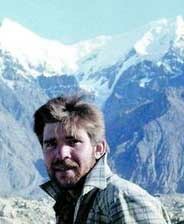 Jacek Berbeka, the brother of Maciej Berbeka, who missed March, 5 during the descent from the summit, had organized the expedition for search the bodies of Maciej and Tomasz Kowalski. 3 days ago German climbers had found the body of one of Polish climbers at 7900 m. It's unclear yet, was it Maciej or Tomasz. opes to reach that point in the nearest days. Nanga Parbat. Strong wind didn't allow the team to go for summit. They have descended to lower camp, now and will wait for another summit weather window. 5 July, 2013 Nanga Parbat. Romanian team yesterday set C4 at 7200 m. Tonight they are planning the summit bid. 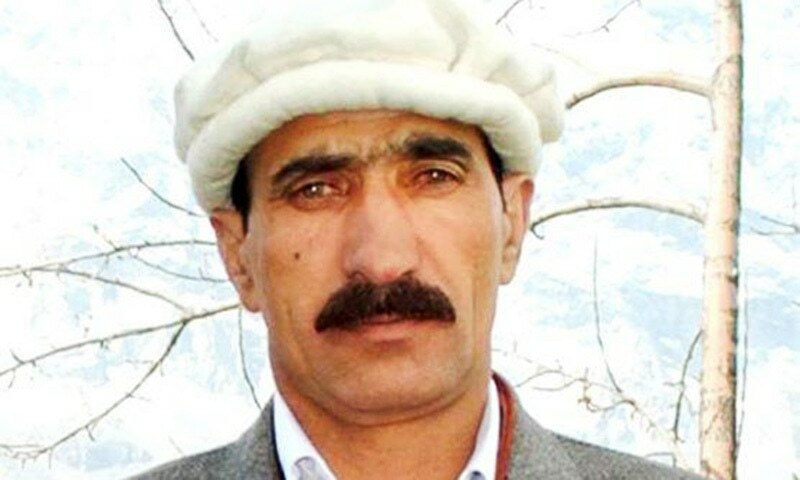 2 July, 2013 In those 2 weeks, when I was out of info sourses (Internet and others) the awful tragedy happened in Nanga Parbat BC (Diamir Face) June, 22. Taliban gunmen murdered ten foreign mountaineers and a Pakistani cook. The victims included three Ukrainians, three Chinese, two Slovaks, a Nepali, a Pakistani, and a Lithuanian. Only two - Pakistani Sher Khan and Chineese Zhang Jingchuan stayed alive in BC, and called for help. Pakistan Army helicopters landed in BC next morning. Other climbers, who were in higher camps on mountain, descended to BC and were evacuated to the army base, then to Islamabad. 18 June, 2013 Nanga Parbat, International expedition. Attempted to reach C2, but were forced to turn back because of heavy snowfalls. Romanians on Rupal Face set C1 June, 14. 12 June, 2013 Nanga Parbat, International expedition. June, 9 the team arrived to BC. Next day the group ascended to set C1. 7 June, 2013 Nanga Parbat. Pakistani climbers Karim Hayyat, Naseer Uddin и Sher Khan set C1 on Kinshofer route. 6 June, 2013 Nanga Parbat, Ukrainian expedition. Kinshofer route. Today started. Members: Igor Svergun (leader), Alexander Zakolodny, Dmitry Konjaev, Mikhail Kolotushkin, Danil Yasjuk, Badavi Kashaev, Bidzina Gudzhabidze (Georgia), Afi Gigani (Georgia), Anton Dobes (Slovakia), Peter Shperka (Slovakia). 5 June, 2013 Nanga Parbat, International expedition. Flew to Islamabad June, 3. Kinshofer route. Members: Ola (Aleksandra) Dzik (POL, leader), Nina Adjanin (SER), Ismail Asgarov (AZ), Israfil AShurly (AZ), Saulius Damulevichius (LTH), Gabriel Filippi (CAN), Igor Karabin (UKR), Gennady Kirievsky (RUS), Gleb Sokolov (RUS), Alexey Kosjakov (RUS), Alexander Lutokhin (RUS), Andrew Manuilov (RUS), Ernestas Marksaitis (LTH), Oleg Obrizan (RUS), Dmitry Sinev (RUS), Yacek Teler (POL), Ivan Tomov (BOL-RUS), Mikhail Veshagin (RUS), Natalia Zenina (LTV). 18 May, 2013 Lhotse. Trio from S. PetersburgThe team descended to BC. 16 May, 2013 Everest. Alexey's body has been airlifted to Kathmandu already. 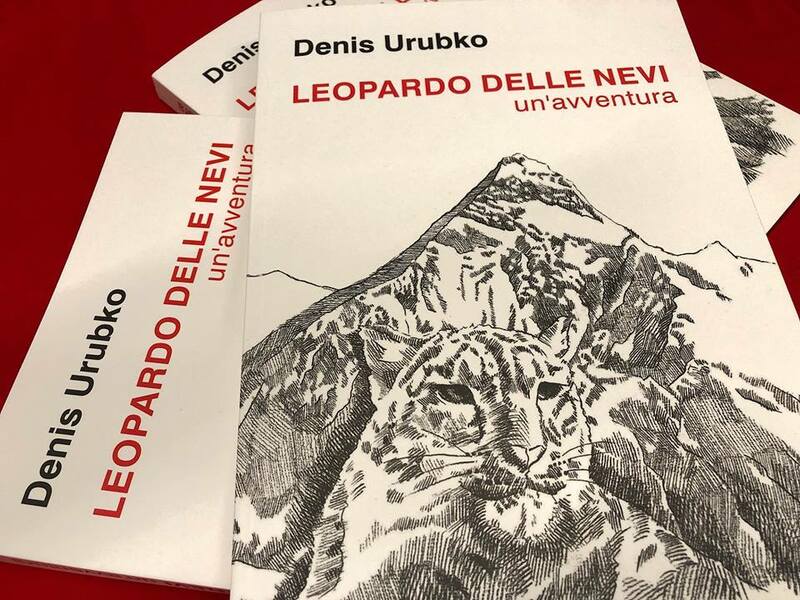 Denis(8 p.m.): three of us - me, Damien Binigas and Lakpa Sherpa - flew to the bottom of the wall, packed the body, carried it to the convenient point (100 m), where the pilot Maurizio Folini took the body and then us too. 16 May, 2013 Lhotse. Victor Koval and Sergey Kondrashkin summited Lhotse today, about 1 p.m. Descended to 7800. Today Morning Alexey Bolotov died on Everest at 5600. 14 May, 2013 Everest SW Face in alpine style. Denis and Alex will start tomorrow to new route. They're planning 8 days ascent and 2 days descent. 14 May, 2013 Kyajo Ri: Marina Kopteva and Vladimir Belousov climbed new route on East ridge. 13 May, 2013 Lhotse. Trio from S. Petersburg The team returned to BC after the rest in valley. Today they began the summit bid: ascended to C2. It snowing. 9 May, 2013 Everest SW Face in alpine style. Denis and Alex are in the valley, Deboche village. The final rest before the new route. 9 May, 2013 Russian climber Sergey Ponomarev (from 7 summits team Alexander Abramov) died from the heart attack May, 5 on the trek 100 m above ABC on Everest North route. 8 May, 2013 Lhotse. Trio from S. Petersburg Guys reached 7850 m, made a deposit with the tent, and then descended to BC. 7 May, 2013 Denis Urubko and Alex Bolotov acclimatized at 8000 m two nights and returned to BC. 4 May, 2013 Denis Urubko "Khumbu Wars"
25 April, 2013 Everest SW Face in alpine style. Yesterday the duo reached 7400 and set C3 on normal route for other climbers. Then descended to BC. Today they're going to the valley, Deboche village, for some days rest in green zone, - before the start to the main goal - newroute in alpine style on Everest SW Face. 18 April, 2013 Everest SW Face in alpine style. Alex: We’ve managed to view our route closely—a very good one. Is it scary? Yes, it is! We should make it as quick as possible. But the goal for today is to complete our acclimatization. 8 April, 2013 Everest SW Face in alpine style. "We’re in a valley, after 7000 m.
6 April, 2013 Everest SW Face in alpine style. "We’ve made through the second and the third icefall and stopped at 6700 m. ..."
4 April, 2013 Everest SW Face in alpine style. Glacier, 6000 m. We're spending this night near Ghiachunkang, with Everest in the distance. 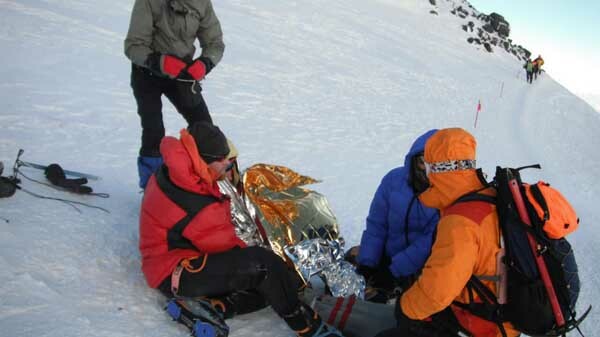 3 April, 2013 Elbrus: on the slope at 4900 m near Pastukhov rocks rescuers found bodies of climbers, who were missing in the beginning of March: Pole Pavel Gostinski and Iraninan Ali-Atabi Sirelli. Now they're transporting to the valley. 24 March, 2013 Everest SW Face in alpine style. Denis and Alex are taking a plane from Kathmandu to Lukla today. 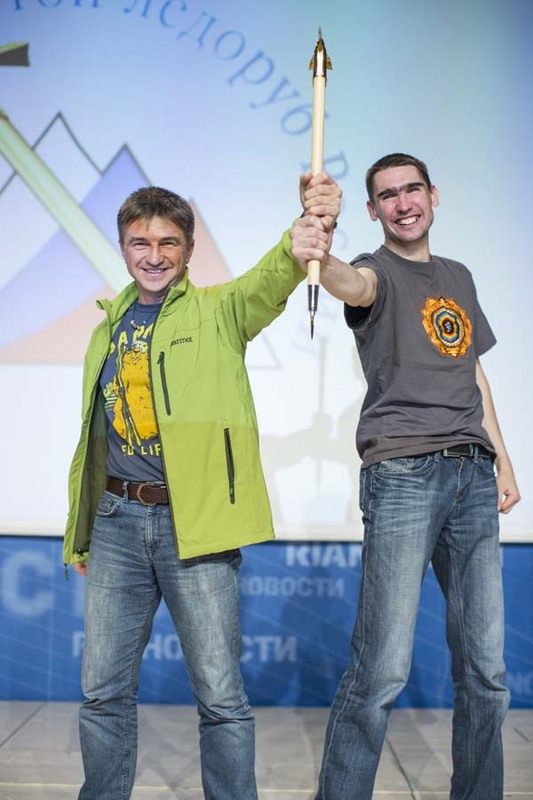 21 March, 2013 Snow Leopards: Vladimir Yakovlev and Georgy Redetsiy, who had completed the program years ago, had just registered their achievements in Shataev's list (#601, 602). 12 March, 2013 XXI Piolet D'Or nominees. Shataev's list - athlets, who registered and got the sign "The conquer of all USSR' 7000ers". Spring 2012: Gasherbrum I Winter expedition / Simone Moro found the body of Russian climber Alexey Gorbatenkov on TengKampoche Face. Fall 2011: K2 Winter Russian expedition. /The women Piolet D'Or team interview: Marina Kopteva, Galina Chibitok and Anna Yasinskaya. 38 days in the Parallel World. Gennady Durov about p. Pobeda climb (August, 2011): "I tried not to look up only in front of me..."
Summer 2011: Denis Urubko about the new route on Pobeda peak /K2 from the China: International team /Latok III. / Nanga Parbat. Kyrgyz-Russian team / Elbrus lady-champions became the Ternua Female Team - Gasherbrums 2011. Tulagi, Bielorussian Himalaya Expedition. / Alexander Ruchkin: "Search bold, and you will find many magical peaks ...."
Winter 2011: Gasherbrum II Winter expedition. September 2010: VI International Elbrus Race. The top results 2005-2010. August 2010: Elbrus Race - the gate to the real altitude VI International Elbrus Race: Girls will run for the first time in "Extreme" class! Artur Hajzer interview: I want to build the team for Himalaya Winter climbs. / Interview with Israfil Ashurly. June - July 2010: Karakorum, Amin Brakk, Women expedition. / Sivera supports VI International ELBRUS RACE. April - May 2010: Lhotse, Russian expedition. March 2010: Lhotse, Russian expedition. / Makalu, Ukraine expedition. SW Face new route attepmt. January 2010: Kwangde Lho, David Falt and Vassily Pivtsov. New route isn't real, they'll try Russian route. Cerro Torre. Italian Fabio Giacomelli died in an avalanche January 1 at the base of Cerro Torre. October - December 2009: 8 nominees for Piolet D'Or Russia 2009. The ceremony will be Dec, 5 in Moscow ??????? ?????? ?, ????? 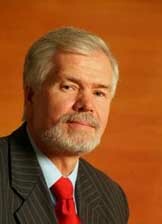 ?, 2009. ?????????? ????? ??????? ?????????? "The fourth girl" - Russians climbed new route on Siguniang, 6250 m, / Gleb Sokolov: New route to Pobeda. Film about K2 West Face expedition (2007) awarded by Gold Alpine Camera om mountain film festival in Graz. ????? "??????? ????? ?2" ??????? ???? "??????? ?????? 2009" ?? ????????????? ????????????? ? ????? 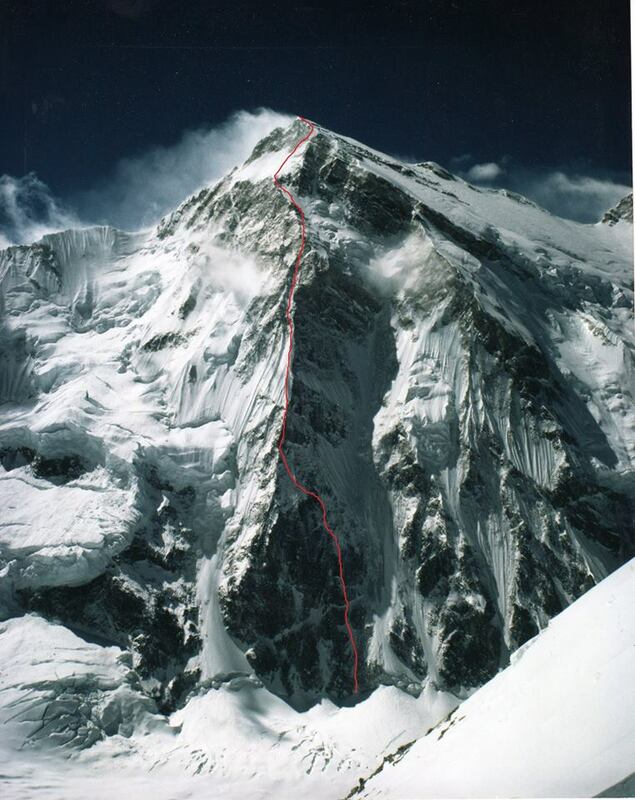 Denis Urubko and Boris Dedeshko awarded Piolet D'Or Asia 2009 for their climb (Cho Oyu, SE Face) in alpine style! ????? ?????? ? ????? ??????? ???????? ??????? ??????? ???? ?? ??????????? ?? ?? ??? Kazakh skyrunner Andrew Puchinin set Kilimandjaro speed climb record: 5 hrs 24 min 40 sec. ?????? ??????? (??????) ????????? ?????? ?? ???????????? V International ELBRUS RACE results. New record on Classic route. "Balyberdin" Elbrus races (1989-90). The story how the idea of mountain speed ascent contest had occurred in USSR. June - July 2009: Austrian speedclimber Christian Stangl back to K2 this year - for the speed climb record on Abruzzi route. The 8th Rock Junior will take place at Arco (Garda Trentino, Italy) on Saturday 6 and Sunday 7 June 2009. April- May 2009: E-Gongga, 6618 ?. 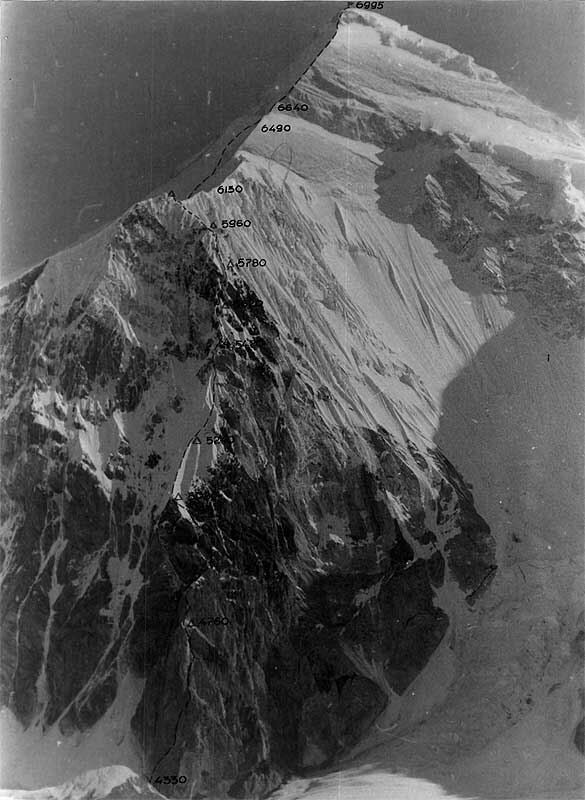 /Cho Oyu (8203 m), South-East Face. First climb in alpine style. 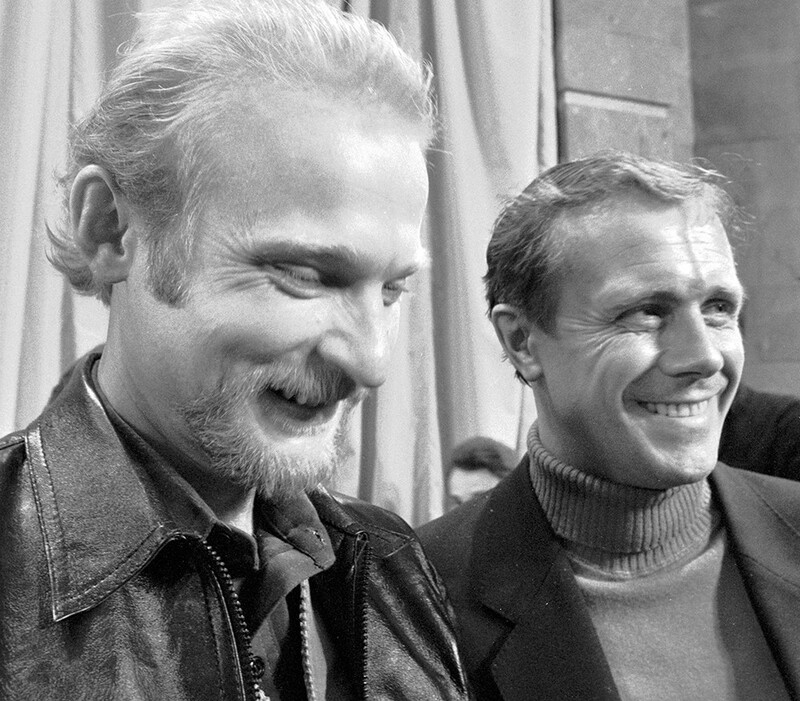 Denis Urubko and Boris Dedeshko. March 2009: Winter Himalaya climb. Denis Urubko interview about Makalu 2009 expedition. 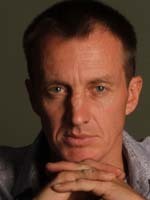 Denis Urubko. Makalu rules. (Before the start Makalu winter expedition with Simone Moro) /????? ??????. ??????? ?????? 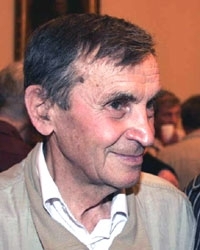 July 2008: Denis Urubko. Annapurna days. ???????? ?, ?????? ???????? ?, ??????? ???????. ?????? ?????? ????. ????? ?, ??????? ?????????? 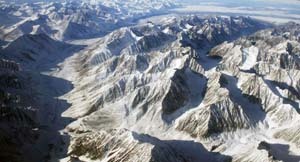 Kazakh Makalu Winter attempt ?????? ??????????? ?? ?????? : ??????? ??????? ?????????? Caucasus Women's cup Broad peak: Simone Moro's attempt. ????? ??? : ?????? ??????? ?????? ???? Tomas Humar: New Alpine Solo Route on the South Face of Annapurna. ???? ?????? ?????? ?? ????????? September - October 2007: Denis Urubko - Serguey Samoilov: K2 new route from the North. International Elbrus Race 2007. K2 NW ridge Kazakhstan expedition.K2 West Face expedition. Denis Urubko - Serguey Samoilov: K2 new route from the North. K2 NW ridge Kazakhstan expedition./ ?????????? ??????? ?????????? ?? ?2 ? ?????? Broad peak. The team of "Romantic Chiefs"
K2 West Face expedition. ?????????? ??????? ??????? ?????? ?? ?2 ?? ???????? ????? http://www.russianclimb.com/russian/krasnoyarsk_broad.html ?????????? ??????? ??????????? ?? ?????? ?????????? ?????? ?? ?2 ?? ???????? (Rus) ?????? / ??????? / ???? / ?????? / ??? / ???? / ???? / ?????? / ???????? / ??????? / ?????? / ??????? (Rus) ???-???? / ????-?????? / ???????? / ??????? / ?????? / ??????? ???????????????? ?????? ?????????? : САНТЕХНИЧЕСКИЕ РАБОТЫ В ПЕТЕРБУРГЕ, ????? ?????????? ??? ???????? Copyright © Russianclimb, 2002 - 2013.